They’re a part of the Immortal Journey skin line. Talon and Irelia will be joining the likes of Master Yi, Fiora, and Janna in the Immortal Journey skin line. Enduring Sword Talon and Divine Sword Irelia were teased today on some of Riot Games’ international social media accounts, such as the Brazilian League of Legends Facebook page. The skins look absolutely stunning and give the two blade users a whole new look. The entire skin line has an East Asian influence and might be based off the popular Chinese novel “Journey to the West.” In the story, Buddhist monk Xuanzang details his travels across Asia to collect Buddhist texts. Alongside him are a group of disciples, which includes Wukong, the Monkey King. 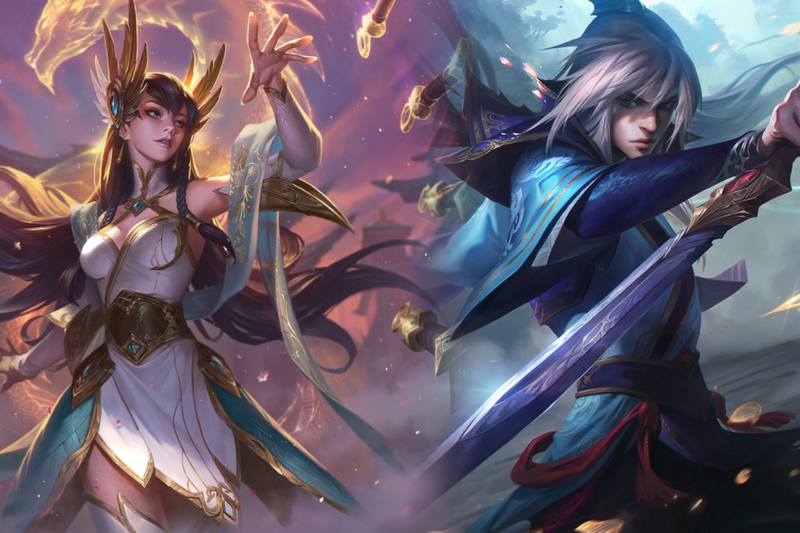 Talon and Irelia are the first addition to the Immortal Journey skin line since it launched in September of last year. While the skins are currently not on the PBE, past skins in the line were worth 1,350 RP. In addition, they brought new models, animations, sound effects, and visual effects, so these will likely do the same. This is Irelia’s first skin since June 2015 and the first for Talon since last February. They might be on the PBE in time for the Patch 8.16 cycle but are more likely to ship with Patch 8.17.